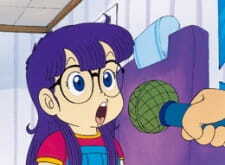 A collaboration of the Dr. Slump: Arale-chan series and the Queen Millennia series. This special consists of the new material wrapped around a previously released Queen Millennia special. The new material is about 2 minutes long.